PSI organizes the first Sustainability Summit on 7 september. Under the guiding theme “Future-Proof Supply Chains” the Summit serves to foster the exchange between the promotional products industry and representatives from business. The Summit will therefore kick off the PSI Sustainability Awards 2018 ceremony. CSR certificates and proofs of sustainability are gaining in importance in the promotional products industry and increasingly determine supply chain layouts between service providers, manufacturers and distributors. 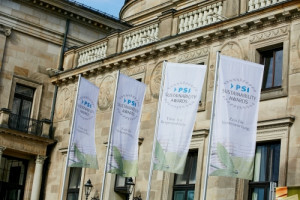 “As the PSI Sustainability Awards show sustainability is already practiced by many in our industry. There are indications that this topic will become a very dominant trend over the next few years,” says PSI Managing Director Michael Freter. This view is also shared by the representatives of the business community represented on the panel at this Summit. They include the founder and chairman of the board of the German Sustainability Award, Stefan Schulze-Hausmann, as well as the CEO of Triodis Bank, Georg Schürmann. The agenda features questions as to how CSR and sustainability impact the position of businesses and the orientation of supply chains as well as the short and medium-term dynamism of this development. Contributions will also address the challenges that the promotional products industry has to face as well as the question for which minimum standards companies are currently already ‘on the safe side’. Participants in these panel discussions will also learn how the promotional products industry as an integral part of the supply chain can initiate an on-going and bilateral communication with business. The evening following the Summit will focus on the companies that already take the sustainability theme very seriously. The fourth PSI Sustainability Awards-giving ceremony will honour the overall corporate CSR and sustainability profile of companies from the promotional products industry. Awards will be presented in seven categories: Economic Excellence, Environmental Excellence, Social Excellence, Environmental Initiative, Social Initiative, Sustainable Product and Sustainable Campaign. Category 8 additionally recognizes the Sustainable Company of the Year 2018. A total of 71 companies are competing for the coveted awards.